Using our relatively powerful skills of deduction and prediction, we’ll try to deduce which teams are likely to make it out of the StarLadder Season 3 Qualifiers with the win and which teams will be headed home with their heads hanging low. Southeast Asia is a pretty stacked region in my humble opinion. You have the likes of Fnatic and Execration representing SEA and neither of these orgs are anything to scoff at, especially not the former with the extreme reach they have in just about all of eSports as a whole. Still, when it comes down to it, we’re not really discussing the power of teams in other eSports, you want to know about Dota 2. In Dota 2, TNC Pro Team is a notch above the rest of the SEA teams. Despite their slightly disappointing finish at The International 7, the entire TNC Pro Team remain intact and are still more than capable of taking the qualifiers against their newly-minted brethren. The hardest thing about making a prediction for the relative strength of the teams in the CIS is the fact that it seems like no one team is extremely consistent with the exception of maybe Double Dimension, who I can’t, in good faith, say has a chance to take the Qualifier, even if they are capable of coming up from behind teams like Mousesports and taking games. With that said, look to Team Empire to take the win for the Commonwealth. Tell me about how the International was a month ago if you want, but the dispatching of a team like Evil Geniuses, and a team like Fnatic is pretty impressive, simply from an organizational standpoint. Without Virtus Pro to stand in their way, Team Empire seems like a shoo-in to win the StarLadder Season 3 Qualifiers. South America – South America would have been a tough call, simply because a lot of the teams from that region that have been invited to the minor haven’t played many games. However, since Infamous is standing above the rest of the region like Darth Vader behind a legion of white armored stormtroopers, it becomes a little easier. 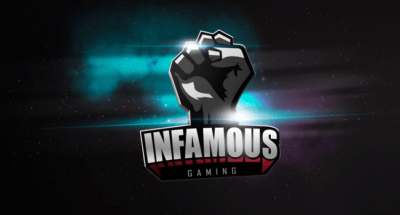 While Infamous is rolling out with a new roster, they remain the favourites in SA to go through the StarLadder Season 3 qualifiers without a whole lot of trouble. Tiras is a writer from the city of Cleveland in the United States. He has been gaming for eighteen years, and has been following Esports the days of Street Fighter 3rd Strike. He is partial to League of Legends and DoTA 2, but has soft spot for Starcraft II as well.